We’re delighted to announce two significant new contracts for Hobbs Valve, with an adapted version of our double block and bleed triple offset valve being specified for one of the UK’s largest oil refineries. The client was facing a specific challenge that had become a long-term problem on site. It involved the need for a special face to face requirement due to space and piping restrictions; the customer also required zero leakage valves (as the valves previously installed were prone to leaking, leading to excessive productivity downtime). Double block and bleed valves from Hobbs Valve have increased cavity between both discs, reducing the possibility of a breach during full pressurisation and further enhancing safety performance in critical applications. This engineered solution eliminates many of the historical problems associated with conventional double block and bleed valves while also reducing weight, space and cost. 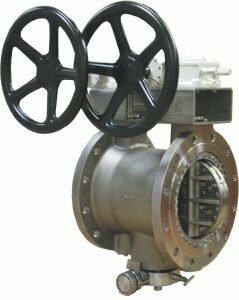 If you’d like more specifics on this engineered solution or any of our other double block and bleed triple offset butterfly valves, please get in touch via sales@hobbsvalve.co.uk or +44 (0) 29 2086 1099.